Really cool bit of kit. 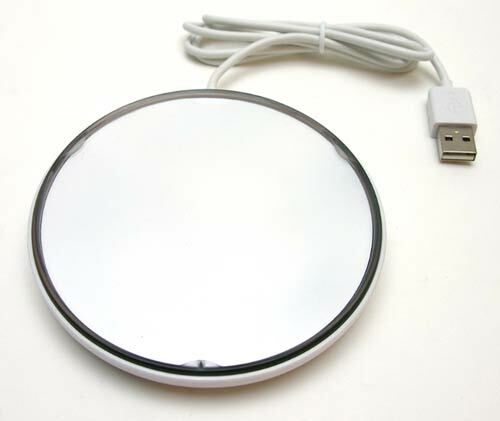 The Violet Mirror is an RFID reader shaped as a circular disc. It reads 13.56MHz RFID chips based on the ISO14443 protocol . 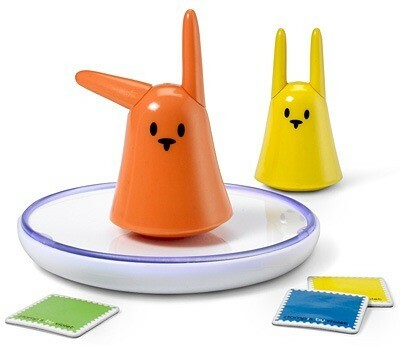 These chips are built in to the Ztamps violet sold and also the Nabaztag bunnies. You can also use standard chips complying with this protocol. ISO/IEC 14443 consists of four parts and describes two types of cards: Type A and Type B, both of which communicate wirelessly at 13.56 MHz. 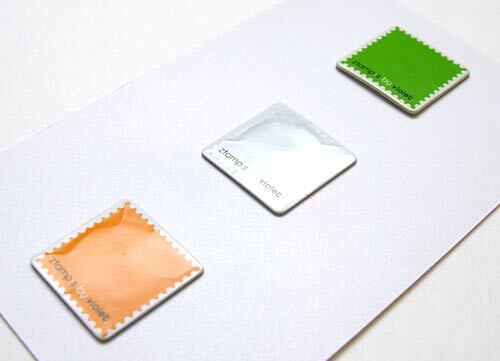 Typically, a ISO 14443 tag has a range of 10cm. The 13.56MHz RFIDs have a broad range of applications across the world. I have developed an arduino reader which uses the USB host shield from circuitsonline. Nothing fancy just a reader for which the program reads out the tag number. The code can be downloaded here. It is unfortunate that the reader seems not to be sold any longer. Its a long story but the company Violet was taken over a couple of times. At the moment the owners are aldebaran but they do not have it on their website.